Dillon DBB-1795 BBb tuba in lacquer with mouthpiece and case. Slender 4/4 size tuba is 39" tall with a 15" upright bell and 4 rotor valves of .709" bore. Good intonation and weighs only 17-1/2 lbs. 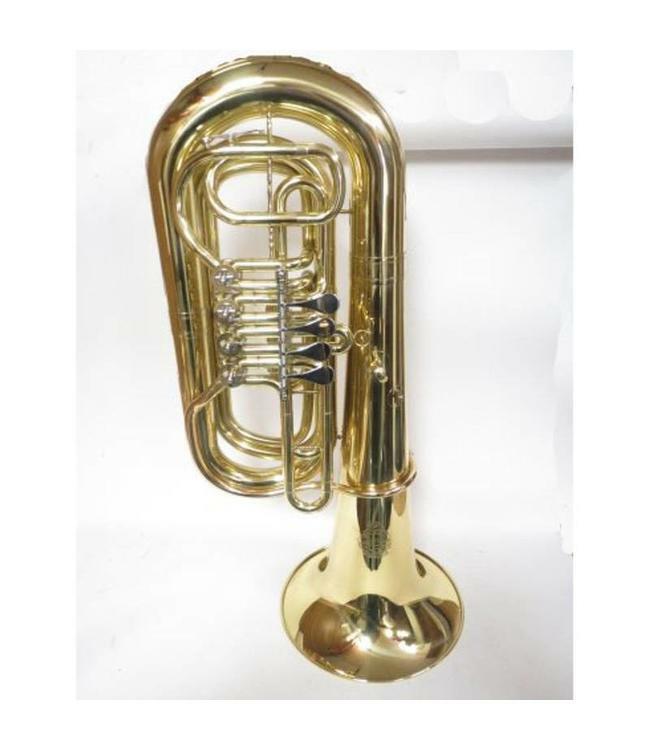 This model is very popular with players young and old who want an easy to handle 4 valve tuba at a very modest price.